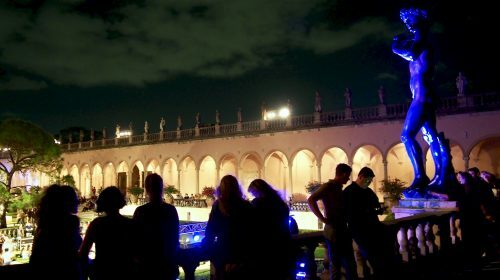 After a persistent rainy season forced the organizers to postpone the event in September, Ringling Underground came back in full force for the first Thursday in October. 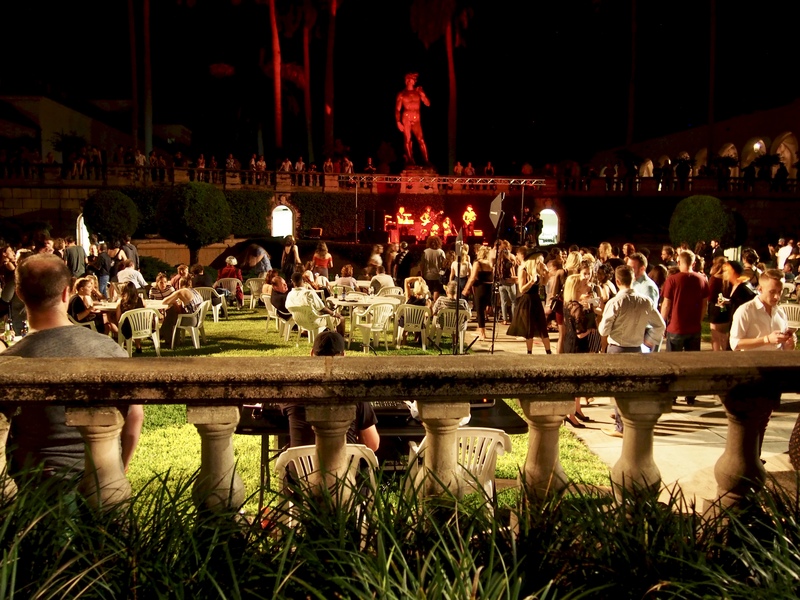 The replica of Michelangelo’s “David” statue towered over the crowd of attendees as live music by LANNDS, Glove and N.I.C.E. Collective swept through the courtyard on Oct. 4. 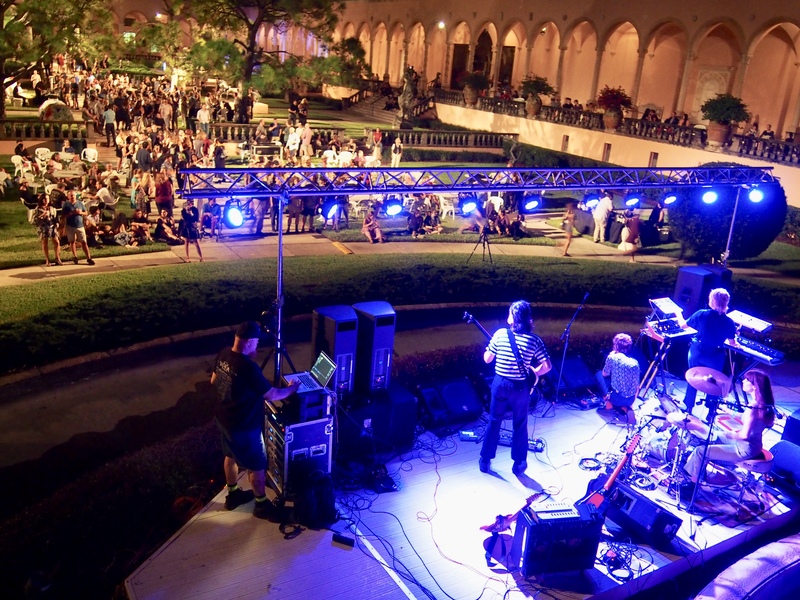 A view of the stage from the middle terrace in the courtyard. 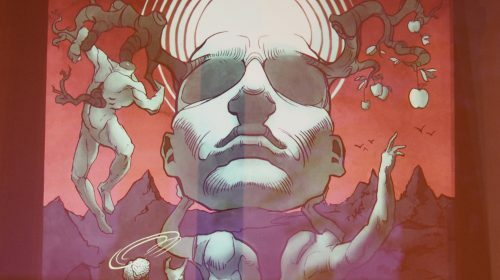 An illustration from von Hollen which he featured in his thesis show in the Spring of 2018. 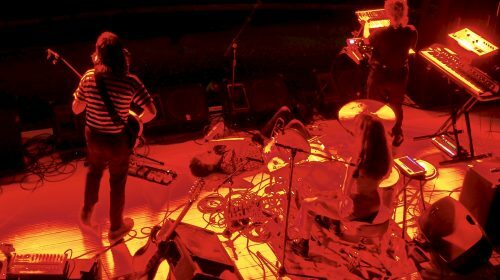 Bathed in red lighting, the vocalist from Glove lies down on the stage mid-performance. 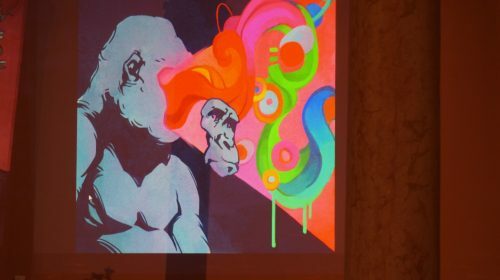 An untitled illustration, chalked by von Hollen for his thesis show in the Spring of 2018. Glove from above, playing for the crowd of attendees. 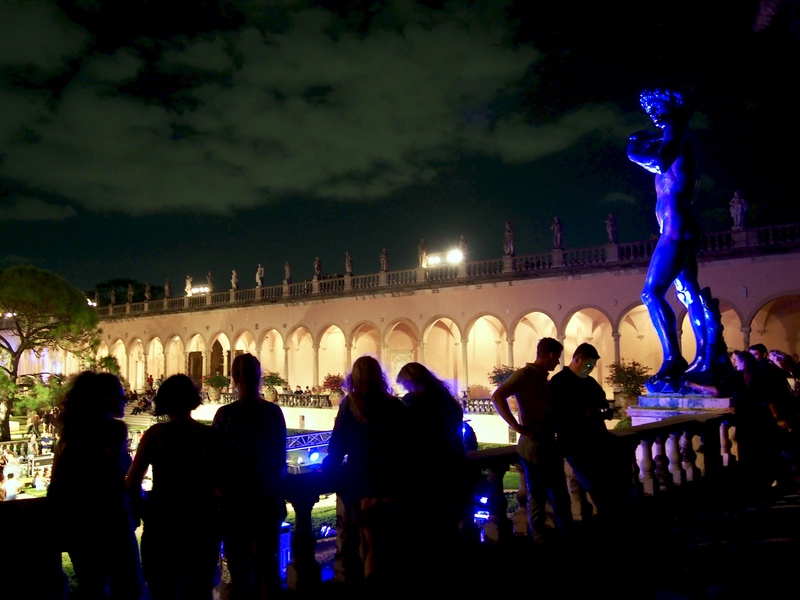 The glow from the courtyard reflects off the clouds above, as people enjoy the music from the stage below. 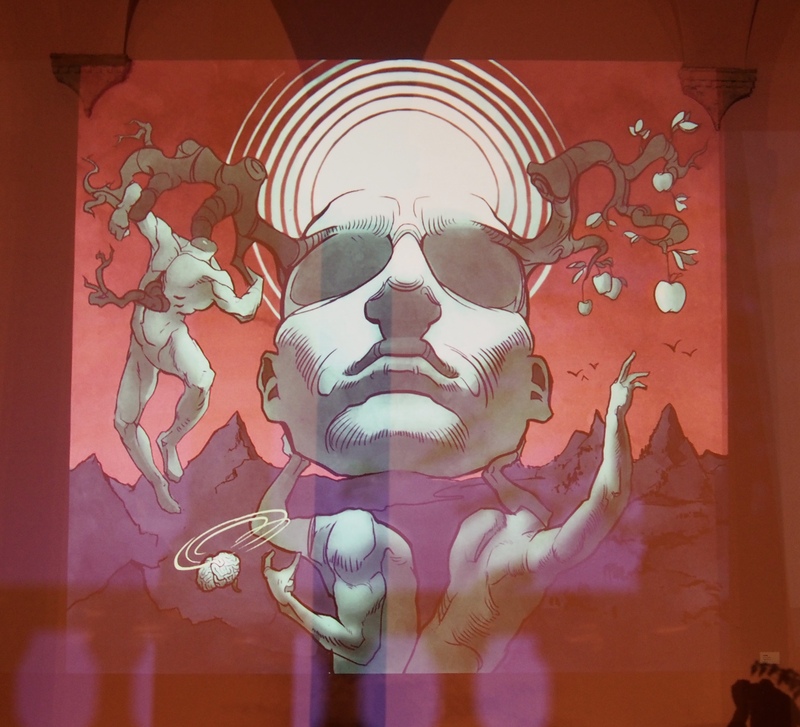 One of von Hollen’s digital works, projected on a wall in the courtyard. 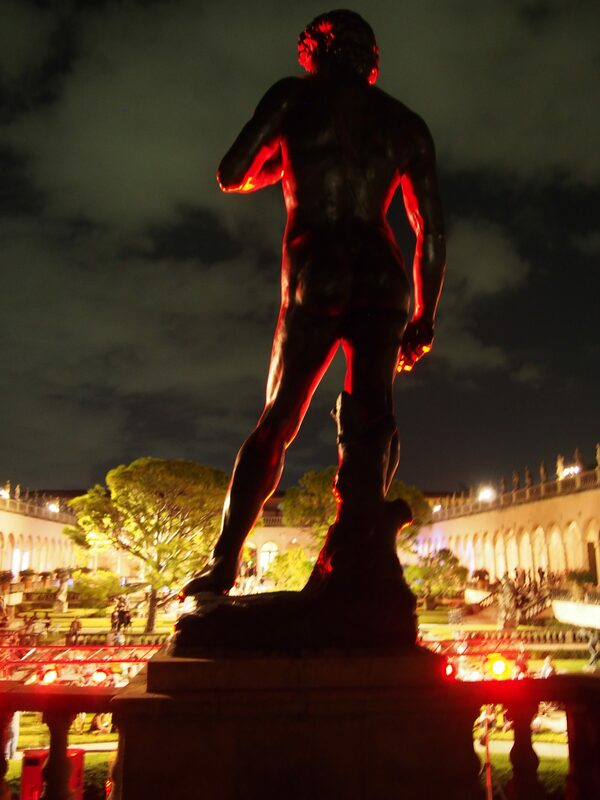 The replica of Michelangelo’s “David” statue from behind, taking in the crimson lighting provided by the stage lights. LANNDS is the indie-electronic project of Florida-based songwriter Rania Woodard, who produces dreamy melodies and lithe vocals. Tampa-based band Glove combines New Wave synth and dance rock ‘n’ roll in their music, with subtle influences of Devo, the B-52’s, Gary Numan and Talking Heads. 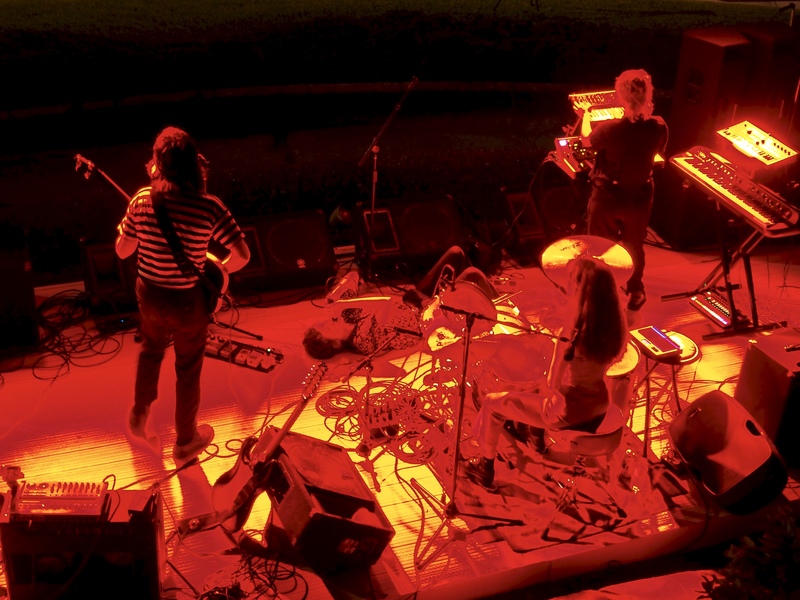 Their catchy synth and guitar leads are supported by kraut-rock driven drums and bass. MoKA Motif and Levine the dream make up the N.I.C.E. Collective. Hailing from Sarasota, these two work together to compose joyful expressions through their music. Their performance consisted of improvisational beat creation and freestyle rhyming, along with thought-provoking lyrics and uplifting hip hop productions. 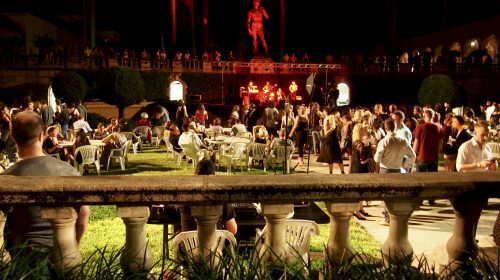 In the courtyard, the middle terrace housed compact stations in the grass that aimed to bring attention to houselessness in Sarasota. Those who wished to could decorate shelters, provided by the organization Cardborigami, who intended to donate the finished products to houseless individuals in the Sarasota area. Across from the shelter decorating, the League of Women Voters of Florida set up a booth for voter registration. 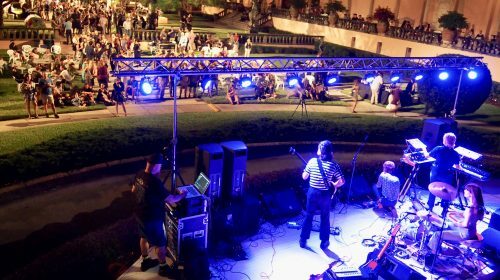 This area, sandwiched between the art and music, encouraged community members to participate in civic engagement, and was part of the third installment of the activist-focused Ringling Underground Unplugged. 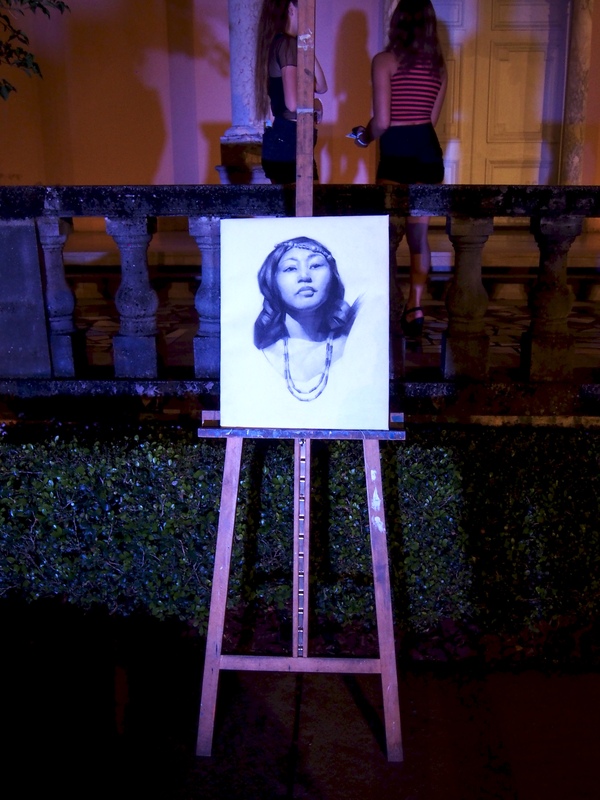 A terrace away from the stage, art by Emmie Wells and recent New College alumnus James von Hollen (‘14) greeted onlookers. Half of von Hollen’s art came from his thesis show, which focused on elements of Classical Realism. 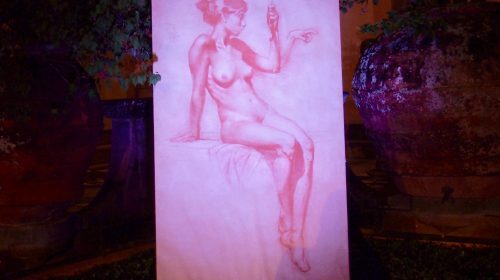 This style of art stresses the significance of natural beauty in figure drawings and paintings as seen through the eyes of the artist. Well-versed in this movement, von Hollen’s two untitled pieces on the north side of the courtyard exhibited the refined skill and attention to detail expected of Classical Realism. 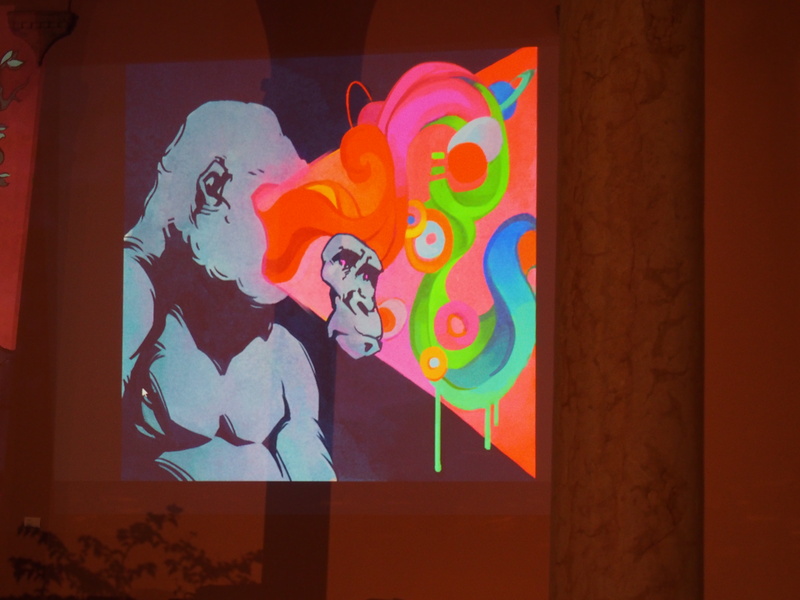 Across the courtyard on the wall of the walkway von Hollen displayed two digital compositions, contrasting his two thesis works. While they do not exactly align with the philosophies of Classical Realism, von Hollen explained that his digital images attempt to merge the style of Classical Realism with his own experimentations in modern art. 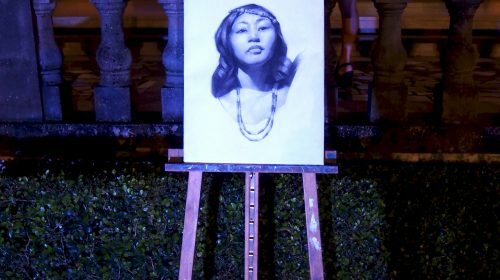 Von Hollen expressed his appreciation toward the organizers of Ringling Underground, and especially Danielle Dygert, for allowing him this chance to showcase his art. “I’m very grateful, it’s just a really cool opportunity,” von Hollen said. Von Hollen hopes to continue bridging the gap between the styles of Classical Realism and his experimentations in digital illustrations through his artistic practice.